It's barely 10 a.m. on a Saturday, and I'm sitting in an open-back jeep winding through the peaks and valleys of an organic vineyard in northern California. In stark contrast to my usual Saturday morning ritual of sleeping until noon and languidly rising in search of coffee and food, I'm fueled by adrenaline and the taste of dirt wafting off the trails of McNab Ranch as we slowly climb to the idyllic scene pictured above. I'm at Bonterra Vineyards in Mendocino County, California, located just outside the charming town of Healdsburg and an entire world away from the hustle of New York. My brain sings at the sight of lush greenery draped against bright blue sky, an invigorating color contrast I haven't seen in six months. My taste buds follow suit as I feast my eyes on the spread of red, pink, and white wines, fresh vegetables, and homemade empanadas prepared by resident chef Olan Cox awaiting us at the top. It's here that I become enlightened to the world of organic and biodynamic farming and the high-quality wine varietals these types of vineyards produce. As a food writer and millennial, I've found myself thrust into the health and wellness renaissance currently taking place, and I'm a bit surprised that I hadn't considered organic wines sooner. Grown without fertilizers, pesticides, insecticides, or any non-organic materials, grapes and the resulting wines produced in this manner are better for the environment and well-suited to the health-conscious drinker. 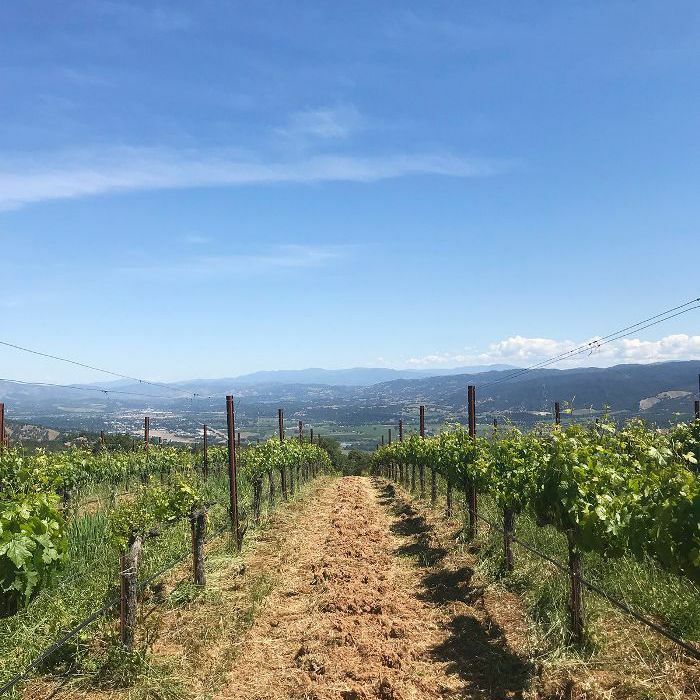 After meeting winemaker Jeff Cichocki and vineyard director Joseph Brinkley on the trip, I reached out to them both to learn more about the specifics of organic and biodynamic farming and how these two sustainable practices are central to Bonterra's mission. MYDOMAINE: I understand that Bonterra wines are made on organic, biodynamically farmed vineyards. What is the difference between an organic vineyard and a conventional vineyard? JOSEPH BRINKLEY: With organic farming, farmers encourage natural elements in vineyards to ensure balance is achieved. At Bonterra, we plant cover crops between vine rows; encourage natural pest predation by planting beneficial, insect-friendly plants and placing owl and bird boxes around the property; and reduce fuel use by employing sheep to mow down cover crops and under-vine weeds. Organic farming is also defined by what it excludes: Certified organic farmers may not use inputs made from non-natural elements, such as fertilizers, pesticides, or insecticides from non-organic materials. MYDOMAINE: What exactly is biodynamic farming? What is the general process? JB: Biodynamic farming is defined primarily by what it aims for, which is to express the unique agricultural personality of a property like our McNab Ranch by using natural elements on that property to nourish it. This rules out non-organic inputs the same way organic farming does; but biodynamics also requires biodiversity in the form of additional plantings and animal integration as well as the use of various natural preparations to build up life in the soil and support plants with photosynthesis, and it schedules the making and using of the preparations so they are amplified by natural daily and yearly cycles such as the seasons. We farm three certified-biodynamic ranches in Mendocino County for Bonterra. We view these three biodynamic sites as holistic, living organisms where soil, plants, animals and humans come together to create a harmonious, balanced and largely self-sustaining ecosystem that follows the cycles of nature. These properties are called McNab, Butler and Blue Heron, and each is associated with a namesake single-vineyard wine from Bonterra. MYDOMAINE: I understand that Bonterra has been an organic vineyard for 30 years and biodynamic for nearly 20. Why were these two practices so central to Bonterra's mission and vision as a company? JEFF CICHOCKI: Originally inspired by the quality of organically farmed vegetables, our founding team was among the first in California to embrace organic farming practices for grapevines. Our original mission was to farm for flavor, knowing organic was also better for the environment, and it’s exciting to see consumer demand for organic wines really pick up. We began biodynamic farming over 15 years ago, and this has been an exciting evolution for us as we’ve looked to highlight single-vineyard sites that are based on biodynamic practices. 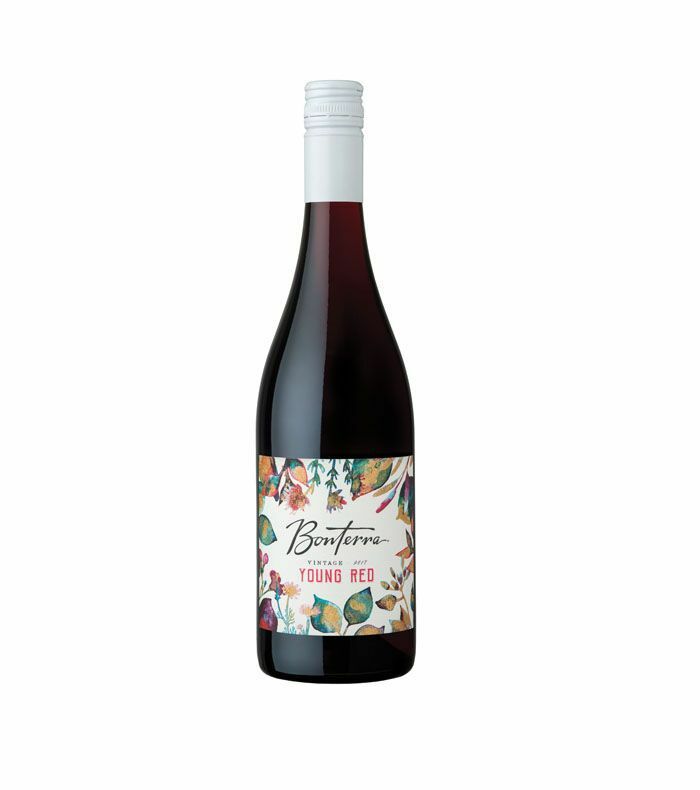 Because the farming views the vineyards as self-sustaining systems, we believe the quality comes through in the glass through terrific expression and nuance. MYDOMAINE: What makes the Mendocino county area so great for winemaking? How is it different than Napa or Sonoma? JC: Inner Mendocino County, where Bonterra is based, is a haven for organic farming because we experience wonderful day-night temperature swings that fully ripen grapes while retaining high natural acidity—but we also have low moisture, which is important for organic farming. We have a more limited tool chest when it comes to managing vineyard matters such as moisture pressure from fog, so we benefit from the naturally mild climate at Bonterra that allows us to grow great fruit each year, organically. When it comes to geography, our Biodynamic McNab Ranch is located in a unique box canyon that forms a “cradle”—a sweet spot between mountains, temperate rainforest and marine influences found only in this unique locale in inner Mendocino. Butler Ranch sits on a ridge overlooking this canyon, offering altitude and myriad unique aspects for vines grown here. Blue Heron Ranch lies directly alongside the Russian River in Mendocino’s Sanel Valley, a pastoral area that was an ancient floodplain, with the river’s dense riparian corridor curling through it. The vineyard benefits from the deep fertility of the riverine soil, which allows grape vines to sink deep roots, and months of steady sunshine during the growing season. MYDOMAINE: How is organic and biodynamic farming better for the environment? Why do you feel that this is so important? JB: Organic and biodynamic farming provide numerous beneficial environmental results including capturing undesirable atmospheric carbon and storing it safely in our soils. Soils at biodynamic farms like ours are teeming with beneficial life that comes from the farm itself through compost as well as from nine natural preparations applied to all biodynamic farms. A biodynamic calendar is observed to track key events and important annual dates. This holistic approach to winegrowing is among the most climate-smart forms of agriculture. 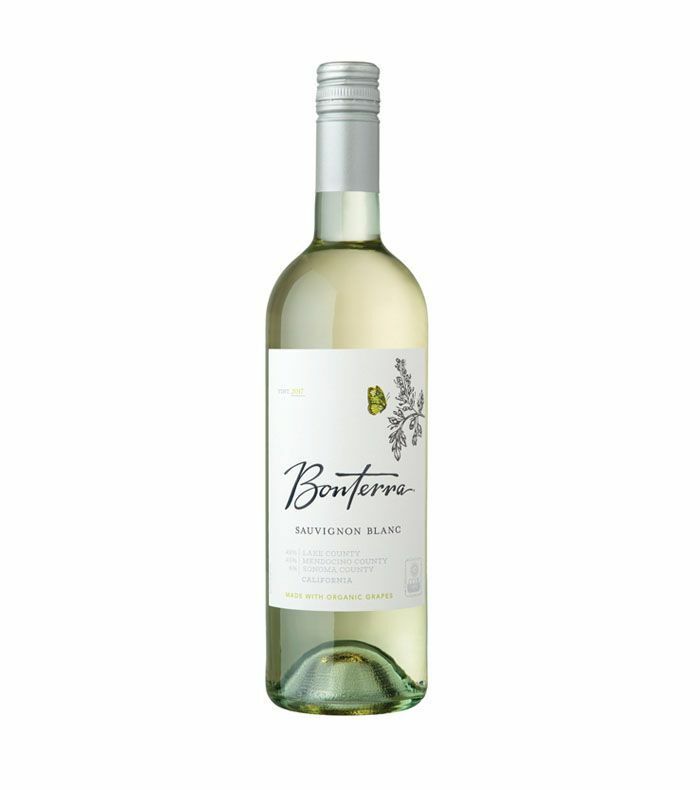 Having observed the benefits of organic farming on quality and flavor for 30 years, and recognizing the additional climate benefits accruing to organic farming, Bonterra has engaged grape growers across California to transition existing vineyards to organic farming practices. We’re proud to help grow the percentage of organically farmed vineyards in California and to help support the spread of climate-smart agriculture. Aside from the aforementioned quality and robust flavor, organically farmed wines are less likely to contain a host of unnatural ingredients like preservatives, food dyes, sulfur dioxide, calcium carbonate, oak chips, GMOs, added sulfites, processed yeasts, and added sugar. In other words, you're reducing your risk of unknowingly consuming these harmful ingredients by opting for an organic wine. At the most basic level, organically farmed grapes must meet organic farming standards, and therefore cannot be sprayed with chemicals. By extension, organic grapes will not have chemical residues on them before the fermentation process, and the resulting wines will not have trace amounts of insecticides or herbicides in them. What's more, soil on organic vineyards is less tampered with, meaning the organisms in the soil and the animals living in and around the vineyard are healthier and spared from chemical contact. Interested in trying a few wines made from organic grapes? 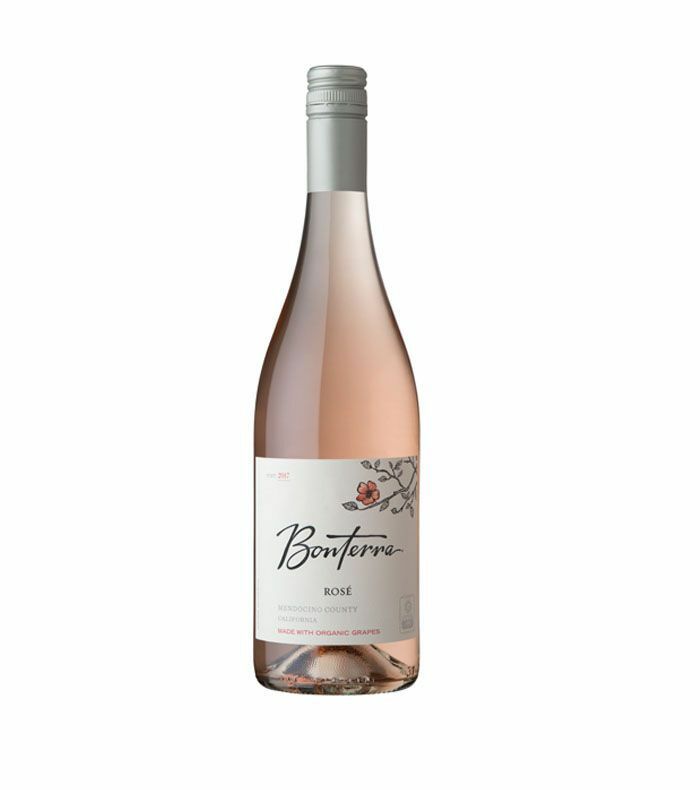 Try Bonterra's Rosé, Sauvignon Blanc, and Young Red with the below seasonal recipes, courtesy of Bonterra Organic Vineyards. Cut the watermelon into 1/2-inch chunks as desired and place in a large bowl. Sliver a small red onion and add to the bowl along with crumbled feta. Separate mint leaves from stems and finely chop, then add to the bowl. Combine lemon juice, olive oil, and Tabasco in a small, separate bowl. Whisk together, then salt and pepper to taste. Preheat the oven to 350˚F. Place the hazelnuts on a baking tray and toast for about 8 minutes. Let cool slightly, then place in a tea towel and rub the skin off. Chop coarsely and set aside. Meanwhile, spiralize the zucchini and place in a large bowl. Season with salt and let sit for about 15 minutes, then drain off the water. Using a food processor with blade attachment, process garlic and almonds until roughly chopped. Add the spinach and pulse while drizzling olive oil to form a chunky paste. Season to taste with salt and pepper.